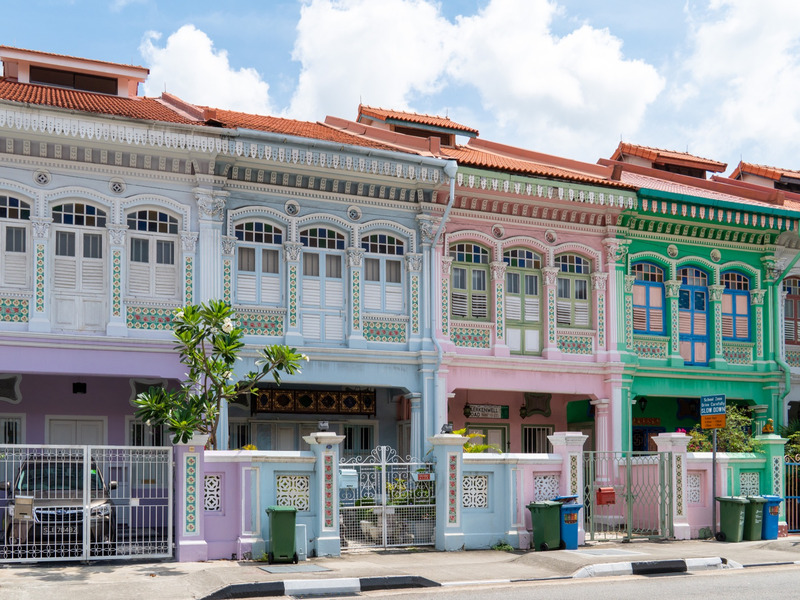 ShutterstockSingapore is dotted with stunning, colourful architecture like these Peranakan-style shophouses. 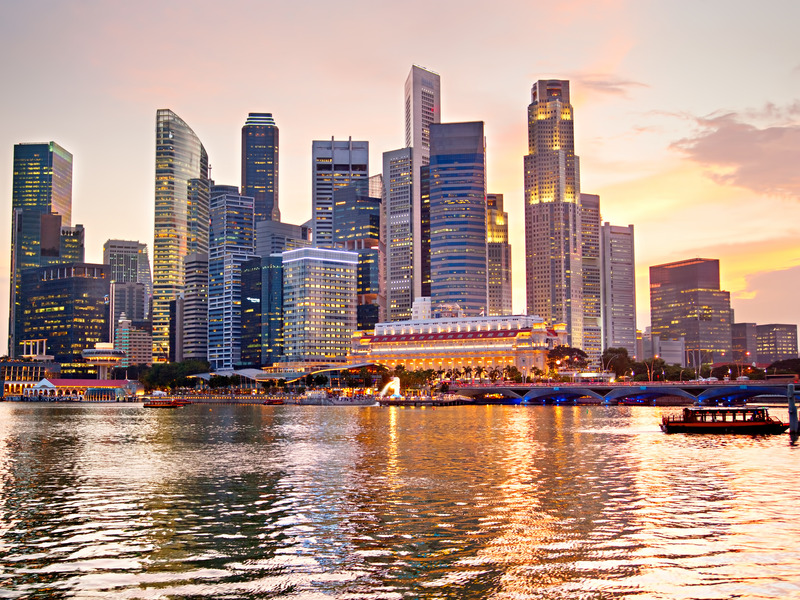 Though it is known worldwide for its extravagance and wealth, Singapore was named the top country for expats due to its strong economic situation and high quality-of-life. When I visited Singapore in May, I expected it to be wildly expensive. I found that, while renting an apartment is costly, the city is full of cheap, delicious food, efficient public transportation, top-notch museums, a budding nightlife scene, and beautiful parks. If you had told me six months ago that Singapore was ranked the number one place in the world for expats to move, as HSBC Expat did in its annual report released last week, I would have laughed in your face. 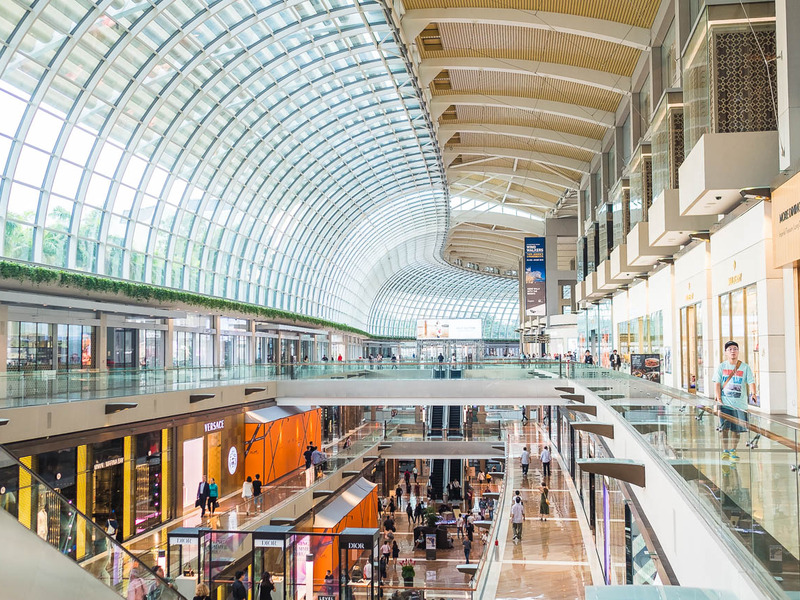 Prior to visiting the island city-state, my notion of Singapore was similar to the one portrayed in summer blockbuster “Crazy Rich Asians.” That is to say I thought of it as a breathtakingly wealthy place where rich people cavort about in exotic supercars and dress themselves in mansion-size closets stuffed with Balenciaga, Chanel, and Gucci. That image is not conducive to expat living. As someone who has frequently toyed with the idea of living abroad for years at a time, I’ve done a fair amount of thinking about what makes a city or country a good place to expat. Ideally, you want a place with a strong economy with lots of opportunity, a low-priced but high quality cost of living, a friendly populace open to outsiders, minimal language barrier, vibrant culture and nightlife, and a safe, healthy environment. Over the past six months, I’ve visited 13 countries in my current role as Business Insider’s international correspondent. In each place I visited, I tried to imagine myself living there day in and day out: what it would be like to commute, where I would eat, and how I would make friends. Most places had some, but not all of the factors that make a place great to expat. Shanghai, China has tons of opportunity and one of the most exciting nightlife cultures I’ve ever stepped into, but the smog can be unbearable. Bali, Indonesia is gorgeous and cheap, but, to make a living, you are most likely going to be trying to work for an American or European company remotely, which limits your options. Seoul, South Korea is safe and has great nightlife, but business opportunities and friendships are limited if you can’t speak Korean. 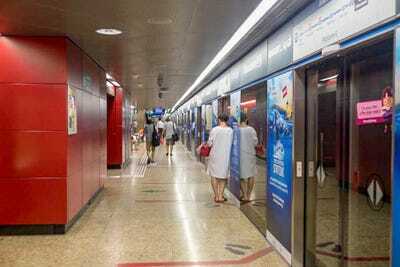 But Singapore is different, sometimes surprisingly so. Singapore is a melting pot of Chinese, Tamil Indian, Malay, and British people. 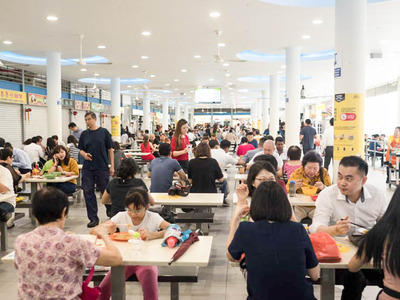 While almost all native Singaporeans can speak multiple languages – in a market, I listened to my Indian tour guide speak to a Chinese shopkeeper in a mix of Tamil, Malay, and Mandarin Chinese – English is the lingua franca of the island. If that’s all you can speak, you can still make friends with locals and participate in many aspects of Singaporean culture. If you want to be seen as a true Singaporean, however, you should do your best to pick up as much “Singlish” slang as possible. As I walked through the city in May, the word that kept coming to me to describe Singapore was: livable. It feels like a place you can live and make a home. The streets are exceptionally clean without feeling sterile. 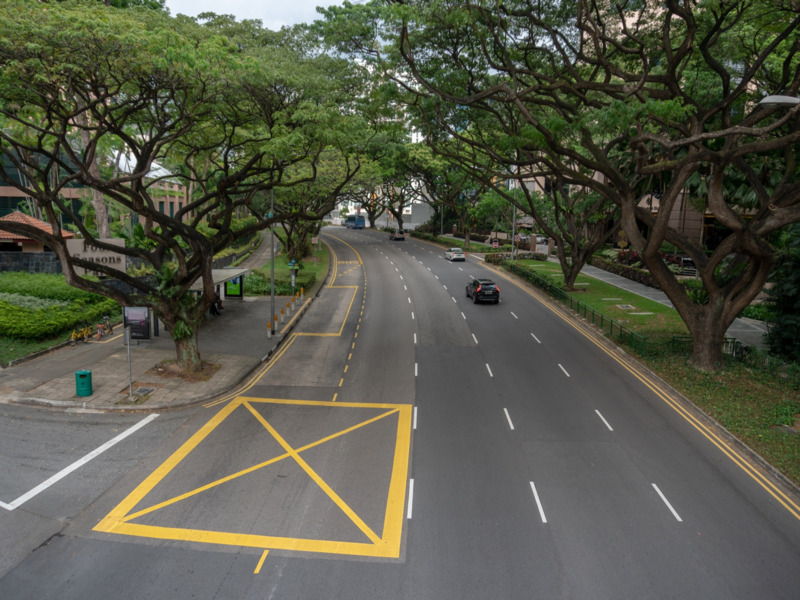 Many of the buildings are covered in walls of plants and the streets and highways are shaded with umbrella-like rain trees, dense evergreen tembusu trees, and colourful bougainvillea. The city has been known as the “garden city” since Lee Kuan Yew, Singapore’s first prime minister, introduced the concept in 1967. His vision was to envelop it in lush foliage to make it cleaner and more pleasant. His initiative worked. About 1.4 million trees have been planted in the past 40 years, and new buildings are routinely covered in greenery. From a cultural perspective, there is a thriving cocktail scene that includes some of the best bars I’ve been to in my travels (The Spiffy Dapper comes to mind) and the food scene is positively bonkers good. 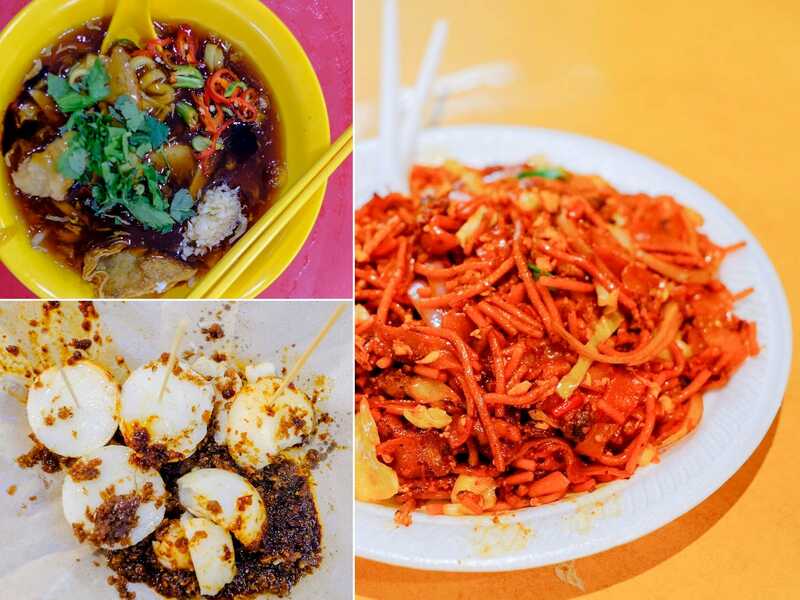 It’s not an exaggeration to say that Singaporeans live through their food. The city’s Chinese, Indian, and Malay populations bring their unique culinary cultures to the food scene, both at hawker centres, which offer tasty specialties at bargain prices, and high-end white-tablecloth restaurants. When I asked a Grab driver where to eat dinner, he spent the entire 15-minute drive giving me detailed instructions for no fewer than a dozen restaurants – what to order, the best time to go, how to find the inevitably hidden restaurant or stall. To put it simply: Singapore is an easy place to live. The tropical weather is wonderful, so long as you can handle the heat. The public transportation is cheap, easy-to-use, and convenient. The city is considered the 8th safest place in the world, according to the 2018 Global Peace Index. And there is a large community of foreigners – 1.3 million out of a population of 5.6 million – that makes it feel like a true international destination. There are, of course, downsides. The Economist’s 2018 “Worldwide Cost of Living” report found that Singapore is the most expensive city in the world. The study bases its rankings on the cost for 160 products and services including food, drink, clothing, rent, transportation, and utilities. The high cost of living can make certain things out of reach. Imported cars are prohibitively expensive thanks to high prices, taxes, gas, and parking fees. A Certificate of Entitlement, which allows a person to purchase a car, can go up to $US43,000 for 10 years, according to BBC. Fifty per cent of expats told HSBC Expat that they can’t afford a home in Singapore. Expats do experience a 29% increase in salary and the average salary is $US160,833, according to HSBC Expat’s annual survey. Two-thirds say they have more disposable income than they did at home. That’s likely due to the high-quality of jobs available to expats. Many multinational corporations like Microsoft, American Express, Edelman, and a ton of media organisations have offices in the city. And the city is seen as a hub for the finance and oil industries in Asia. The country has a burgeoning tech scene focused on Southeast Asia, a market of half a billion people that many experts say is an opportunity akin to China 10 or 20 years ago. So far, the scene has produced at least three unicorns: Grab, a super-app that began with ride-hailing and now offers a ton of services; Lazada, an e-commerce platform; and Sea, a digital entertainment company. Needless to say, Singapore has a lot more going for it than “Crazy Rich Asians.” By the time, I was in the airport on my way out, I knew I would come back to Singapore soon enough.